Five initiating speeches kicked off proceedings, covering different aspects of the sector. 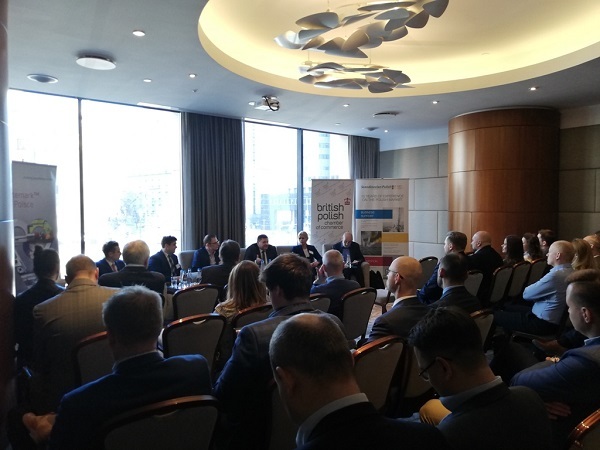 Ewelina Kałużna, leasing and asset management director, of Skanska Property Poland looked at the market from the perspective of the developer and contractor, Skanska’s business in Poland being split 50/50 between the two activities. Jarosław Szwankowski, managing director of insurer Dual Polska looked at how the construction and real estate sectors insure their activities in Poland, outlining the spectrum of cover offered, from accident & health to title insurance – mitigating the risk that having bought a plot, there will be a restitution claim on it. Maciej Wójcikiewicz, an RICS registered valuer and head of valuation at CBRE, said that last year’s €7 billion transactions on the Polish market was a record year. He highlighted the industrial, warehousing and retail markets, in particular in Poland’s third-tier cities, as being of interest to investors, many of whom were from Asia or the Middle East. Robert Kamiński, director of BroadwayMalyan in Poland, spoke about the changing face of retail, driven by increasing online sales and a trend towards offering more than just shopping in retail spaces. Refurbishment of ageing shopping centres now focus around food and drink, entertainment, brand experience and ‘bricks-and-clicks’ or ‘pick-and-collect’ retail models. Meanwhile, office developments are now expecting a similar standard of quality to that found in hotels. 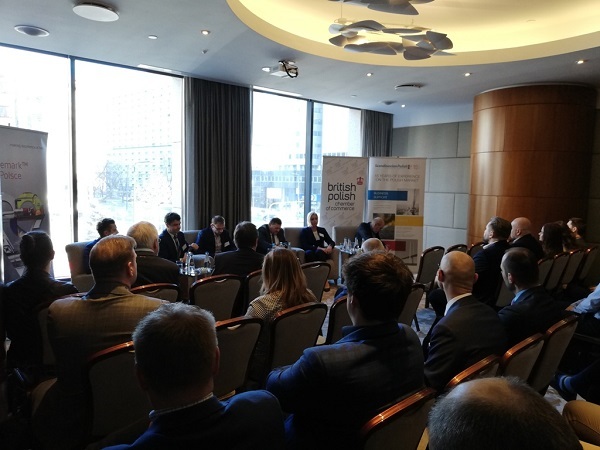 Finally, Tomasz Ciesielski, director of real estate finance at BGZ BNP Paribas reiterated the point about the diversity of investment finance coming to Poland, no longer just from the EU and US, but from South Africa and the Far East. For them, Poland is seen as a safe, low-risk market, with yields higher than in Western Europe, he said. The five short speeches initiated the morning’s discussion, moderated by the BPCC’s chief advisor, Michael Dembinski. 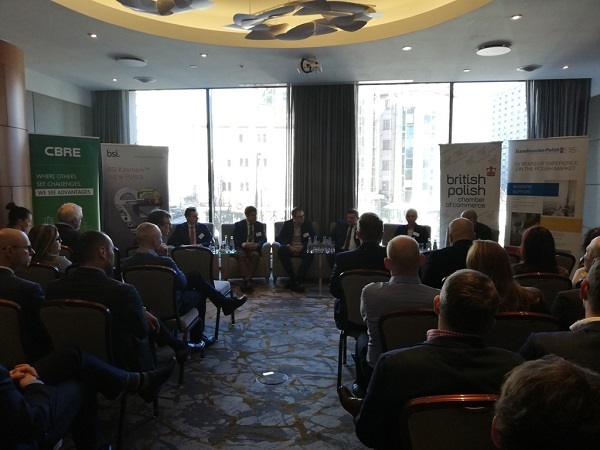 Representatives from real estate and construction firms from both chambers had the opportunity to set out how they see current market conductions unfolding and where future growth is likely to come from. The next budget cycle will result in a squeeze on yields; new project budgets are reflecting rapidly rising land prices, material costs and the tight supply of skills on the labour market. This will push up prices of completed buildings; while there’s an over-supply of vacant, high-quality space, rental income is not expected to increase. When asked whether anyone in the room was currently involved in a public-sector project, not a hand went up. 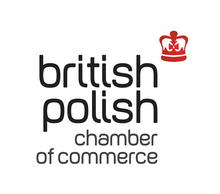 This suggests that buoyant private-sector market conditions and the risk connected with doing business with the Polish state had put off foreign construction firms. The result of poor tender preparation and project management is that the Polish taxpayer will be paying more for work of lesser quality as foreign bidders avoid carrying out public-sector projects. Public procurement in construction will be the subject of a future BPCC event.